While members of the Métis Nation fought alongside other Canadians in wars and peacekeeping initiatives, their contribution has rarely been recognized. That is starting to change. 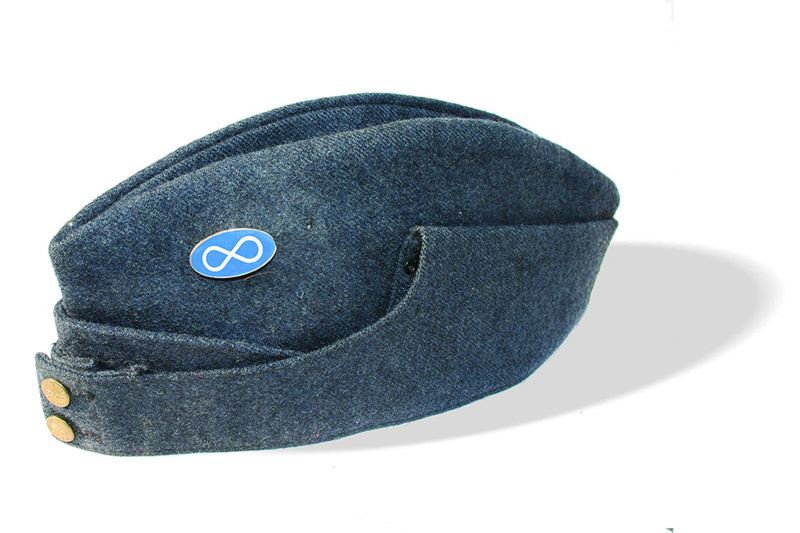 In the past, Métis veterans, like Métis fought in both World Wars, the Korean War and other conflicts such as Afghanistan, and have also served as peacekeepers in the Canadian Forces. In 2005, the National Métis Veterans Association (NMVA), honouring the Canadian “Year of the Veteran”, went to work on the vision of Ed Borchert, the NMVA president. He believed it was important to bring home the spirits of the soldiers who had died overseas, so he set out to take a group of Métis, Inuit and First Nations veterans to Europe. They paid tribute to their fallen comrades and, more importantly, held a Calling Home Ceremony, so that the spirits of lost comrades could be reunited with their ancestors. In association with the Government of Canada, about 20 veterans, caregivers, Aboriginal and Métis spiritual leaders, CF and RCMP members, elders, and youth all took a pilgrimage to war cemeteries and battlegrounds, including Vimy Ridge and Juno Beach. Before the delegation left, a ceremony to prepare participants was conducted on Algonquin sacred land at Victoria Island near Parliament Hill. The Calling Home Ceremony was conducted in Belgium, and later the pilgrims visited many crucial European sites. This recognition and assistance by government was a further step forward in reconciliation between Canada and the Métis Nation, and was also an honour long deserved. Part of the original vision for the pilgrimage was to involve the youth of today. “It is hoped that through the eyes of our youth taking part in the Calling Home Ceremony, the sacrifices will never be forgotten,” said Métis National Council President Clément Chartier. Since then, other ceremonies have taken place, such as in Batoche, Saskatchewan in 2011, but many practical problems have yet to be solved. Aboriginal, Inuit or Black veterans, were often not welcomed into Royal Canadian Legion halls, were not told of their rights to compensation for injury, were not supported—and often did not even know about—help through Veterans’ Affairs, and were generally discriminated against. It has only been in the new millennium that the disgraceful treatment of these veterans has been acknowledged. While progress has been made, some key problems remain. Some Métis veterans do not write English or French well enough to fill out the forms required by those running the programs, and for those who live with little support, have health issues, have retained the Métis hunter-harvester lifestyle,or live in remote communities, the problems can be insurmountable. Recognition of Métis culture is slowly being incorporated into the Forces. There are also spokespersons and leaders demanding fair treatment. However, what is also needed is assistance in finding and serving the people who served so well and with such sacrifice. Veterans Affairs Canada offers services and benefits to all qualified veterans; CF members, serving and discharged RCMP, and certain civilians and families and Métis veterans are definitive part of that group. Pour Some Sugar(Man) On Us! Rodriguez, Jack Johnson and More Announced for CityFolk! It’s now a cold fact that those of you Searching for Sugarman won’t have far to look come September 17th when the mysterious Sixto Rodriguez comes to the CityFolk Festival. The cult singer-songwriter –given a career resurgence from a you have to see it to believe 2012 Oscar winning documentary– was just one of the first names dropped for a festival that is largely populated by headlining newcomers. 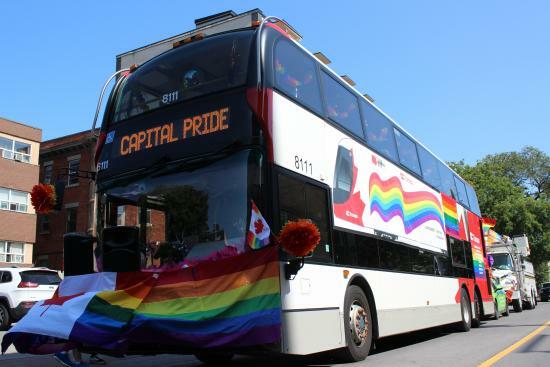 This year’s Capital Pride festival is shaping up to be the biggest one to date!